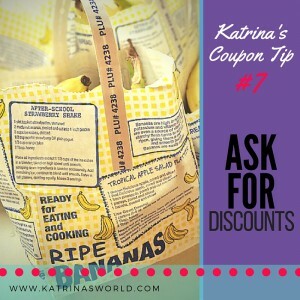 Don’t forget to ask for discounts – even on ripe fruit! My kids LOVE smoothies for breakfast and I usually bulk them up with over-ripe frozen bananas (it gives them extra sweetness). Just today, I asked the produce manager at my local grocery store if they sell the over-ripe bananas at a discount because I didn’t see any out for sale. 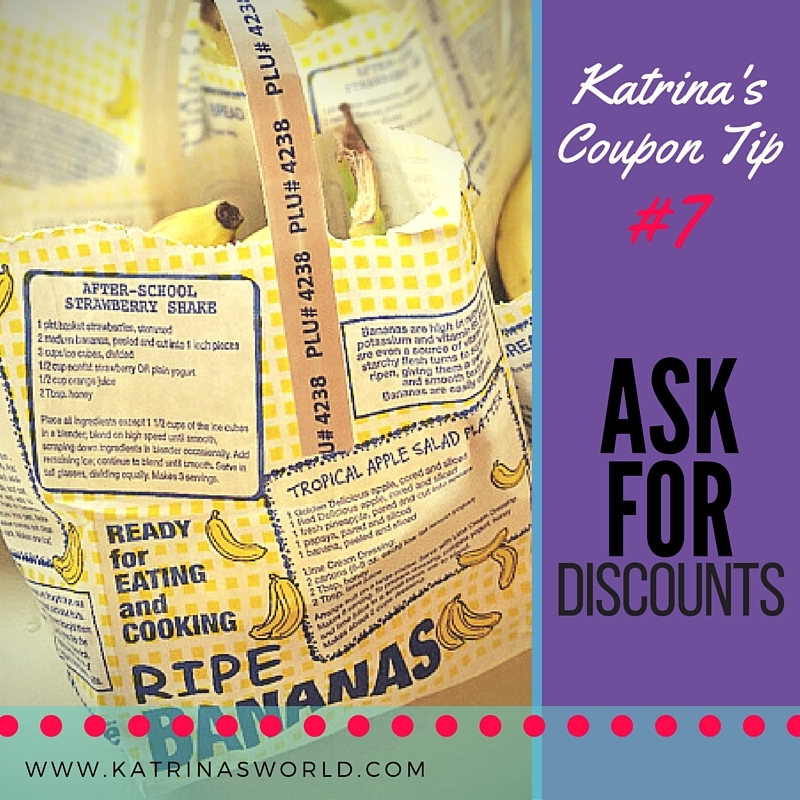 He didn’t have any over-ripe ones, but he did proceed to give me all the single bananas that were left not attached to any others for a discount – half off! Although I was looking for over-ripe ones, instead I got perfectly almost-ripe bananas for a cheaper price than the lady standing next to me who bought the exact same ones (her’s were just attached to a few others)! Such a great deal that I bought 5lbs of them and I’ll just let them ripen on my counter!! It pays to ask for a discount! I was excited for the deal and the produce manager said I was really helping him out too, because they have a hard time selling the singular ones that are left! That’s a double deal in my book! A win-win!